Sunday Fun Day Giveaway: Rizzuto's Pizza Party & Last Week's Winners! Rizzuto's parbaked pizza crusts are crafted in the Northwest using traditional baking methods and no chemical leavening. We start with quality ingredients including flour, milled from wheat grown on the Northern plains, pure mountain water and fresh yeast. These ingredients lay the foundation for premium baked goods. Using a traditional process of shaping the crusts to size, by either "cold" pressing or handcrafting, we then allow for abundant fermentation or "proof" time to naturally impart flavor and texture. Quality ingredients coupled with old world baking traditions are what create a parbaked pizza crust that keeps your customers coming back for more pizza. Handcrafted - Handcrafted pizza crusts are truly a handmade masterpiece. We start with a focaccia style dough which is the oldest most universal form of pizza dough. This crust was designed to emulate the process and results of the original pizzerias. Thin Crust - Hands down, the best thin pizza crust available. 1/4" (6mm) in thickness. We start with a very rich formula and fresh yeast, then press it to form, dock and bake directly. Tender with a smooth, melting finish. Thick Garlic & Butter pizza crusts are created by using a rich formulation that includes a hint of garlic flavor and an infusion of butter flavored shortening flakes. Thin Garlic & Butter pizza crusts are created by using a rich formulation that includes a hint of garlic flavor and an infusion of butter flavored shortening flakes. 3/8" (9mm) in thickness, this crust finishes with a crispy bottom. Multi-Grain - Multi Grain crusts provide a fresh approach for today’s consumer. We use a seven grain blend flavored with chopped garlic and basil to create a pizza crust that proves you don’t have to give up taste and texture to provide a healthy alternative. A favorite for those creating innovative dinners. Whole Grain - Our Whole Grain crusts are very similar to our Extra Thick crusts with the added benefit of whole grain, . Light and flavorful with an added hint of garlic. Another healthy alternative that provides a good source of fiber. Gluten Free - Our Gluten free pizza crusts are so popular that many customers prefer them over those products made with wheat flour. We have carefully formulated this product to provide a great alternative to those requiring or choosing a gluten free diet. Deep Dish - Our most popular single-serve pizza crust. Everyone can create their own pizza with these individual sized crusts. We really enjoyed Rizzuto's pizza crusts, especially the Thin Garlic & Herb pizza crusts. We loved how thin and crispy the crust came out and really complimented our toppings of cheese, sausage and mushroom. We've also enjoyed the Thin Crusts for some pepperoni pizzas we also made. After taste-testing these 2 kinds of crusts, we plan on having another pizza party real soon using these crusts. They make it easy and friends will certainly enjoy topping the crusts however they want. Thanks to the folks at Rizzuto's, they are sponsoring this week's Sunday Fun Day Giveaway so one lucky reader will receive a complimentary pizza kit of their choice to throw a pizza party too! Deadline: Saturday, July 23, 2011 at 12 midnight CST. 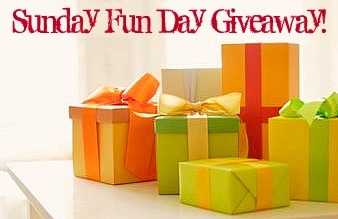 One winner will be randomly chosen by Random.Org's Interger Generator based on the number of your comment and will be announced on Sunday, July 24, 2011, within next week's Sunday Fun Day Giveaway. Good luck! Spinach, bacon, artichoke and chicken but I could always go for a good pepperoni too! My fave topping is cheese, especially Quattro Formaggi - blue cheese, fresh mozzarella, fontina and scarmorza. It's a taste of Italia! Sauerkraut!!! I don't eat it any other way, but on pizza it is awesome! My favorite pizza topping by far is Italian sausage! I love mushrooms, onions and green peppers! I love bacon on my pizza! This giveaway looks amazing! Thanks for hosting it! My most recent pizza obsession is barbequed chicken. Not pieces of chicken breast and some BBQ thrown on a pizza but actual slow-cooked, barbequed pulled chicken. It's amazing! I love ham and pineapple! It's my favorite! Mine used to be sausage and mushrooms, but we recently tried a local food stand's "pig and fig" (prosciutto, gorgonzola and fig preserves) and I'm hooked! My favorite pizza topping are caramelized onions and goat cheese. Yum! Pineapple with pepperoni, semi-spicy tomato sauce! Black olive and green pepper! Fresh chopped garlic and basil on a plain cheese pizza, love it! Canadian bacon and pineapple. Pickles are yummy, too (think cheeseburger pizza). My favorite pizza topping: mushrooms! Garlic and fire roasted tomatoes with feta cheese! So awesome on pizza and just about anything else too. In my book, you can't go wrong with any kind of pizza! My top favorites are bbq chicken, meat lovers, bacon cheeseburger and sausage with mushrooms. These crusts look amazing! We are enjoying kitchen sink pizzas this summer........whatever is on hand goes on! My current favorite is shaved asparagus! I LOVE Italian sausage and fresh tomatoes on my pizza! It depends on the day and the mood! It's often what is called "Chicago style" here in the deep South-- Italian sausage and pepperoni, bell peppers, onions. I love grilled chicken on my pizzas. I love fresh mushrooms on pizza! I love pepperoni and pineapple if it's fast food. If I make my own, I love BBQ Chicken Pizza. Just mushrooms! But I have branched out at Piece Chicago and gotten clams and bacon... very very good. My favorite toppings for pizza is EXTRA Cheese and pepperoni!! I like pepperoni and mushroom--very traditional but also very yummy! Thanks. Hi, my favorite toppings are mushrooms and olives.